The late E.B. White, the children’s author and essayist, wrote on a great number of topics, and he was, among other things, a perceptive observer of dogs. E.B. White on Dogs is a new collection of White’s best prose and poetry on canines. 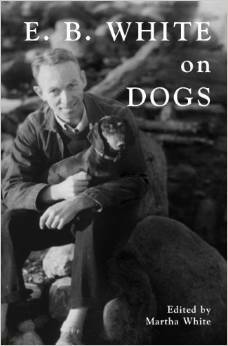 White’s granddaughter, Martha White, assembled these writings from White’s essays, poems and letters, which also includes some family photos of the author and his dogs. Below are ten E.B. White quotes on man’s best friend. I love the #4 quote below. Enjoy! ← The Importance of a Snow Cone Machine!